ZEN is simply the key, that opens the door to our full ability of kindness. Very often that can be a bitter truth. It asks of us to engage ourselves with the other person that we are, with what we think, what we say, what we do with our bodies. We have to be thorough. Every day, in every moment we have to be thoroughly ourselves without asking anything in return. We have to do that to penetrate that thin layer of illusion that separates us from our unlimited, spontaneous, available goodness. Sitting still in the way of Buddha is not only a stillness and silence it is an absolute presence in stillness. In such presence there is not the slightest meddling with what’s happening. It is a physical and mental non-interfering with our experience. It is a through intimacy with whatever is happening. This is an infinitely flexible stillness that can adjust to the impermanent nature of all things, harmonising with all situations. 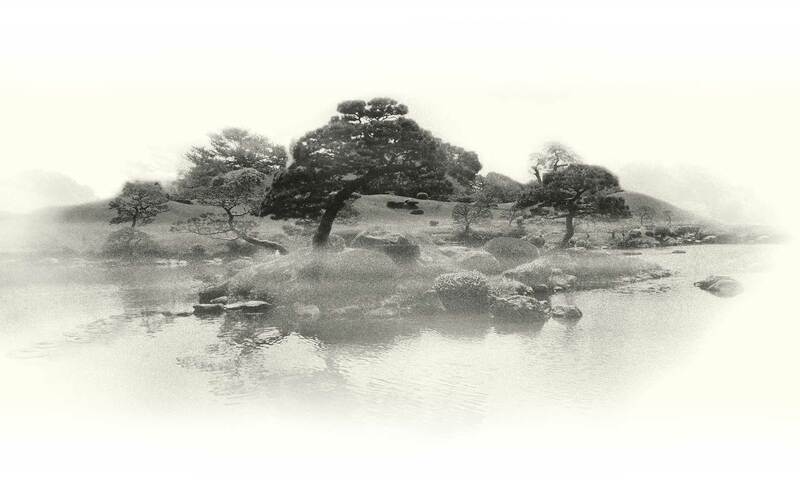 IN ZEN we call sitting in silence – Zazen – that means‚ »sitting in absorption«. 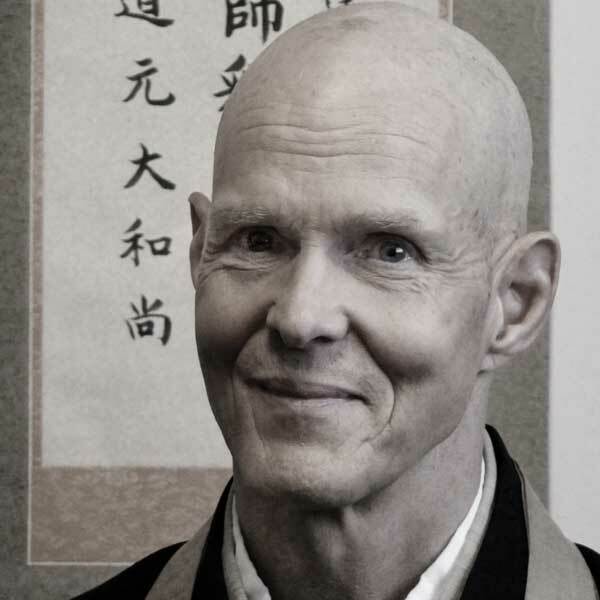 According to Dogen Zenji sitting is remaining in a condition of thoughtless, alert attention that is not directed at any object and doesn’t stick to any content. Zen is not a theory, an idea or intellectual knowledge but practise: namely that of »correct sitting«. The inner revolution is created by the practise of ZAZEN. Deep wisdom develops and its essence can’t be reached through mere logical thinking, as Buddha taught us. Establish contact between your lower legs and the floor – your feet are in an angular position, feel your ischial tuberosity – check whether your weight is equally distributed – feel if your root is integrated into your own body. The pelvis is tilted slightly forward, body and head are upright and as relaxed as possible. The chin is pulled back, the neck stretched and the shoulders are naturally relaxed. Your eyes are half closed, the look is downcast on the floor, a meter away from you. Put the tip of your tongue on your palate, Your face smiles. The left hand is in the right hand, palms upwards. The thumbs are horizontal and gently touch and both hands that are lying on the thighs should touch the lower abdomen two fingers underneath the belly button. Every detail of the position has a deeper meaning to it. All parts of the body are mutually interdependent and influence each other. The position is very stable. In case it destabilises just softly correct your position again. Observe your body throughout the practise. Just breathe. Observe how you breathe in and out. Don’t manipulate your breath. It is enough to observe how the breath flows through your body. Feel how your abdomen, how your abdominal wall and chest area change. Indulge in your breath and fill your body with air while breathing in, in a harmonious way of breathing in and out then there will be nothing left but a cushion under the empty sky with the weight of a dancing flame. Just like the right way of breathing can only come from the correct position mentality is the natural result of deep concentration on position and breath. Sit in freedom without the feeling of compulsion. Be mentally present, which means make sure that you don’t start dreaming or slumbering. Don’t have the ambition to calm your mind or not to have any thoughts at all. Sit just for the sake of sitting. It is important to accept everything that comes: thoughts, feelings of any kind. Accept them, observe them and return back to practise i.e. by counting your breath, observing your breath or working with a Koan. Imagine a boat that is floating in the river with the current. That is your thought. You don’t have to sit in the boat. Maybe you decide to name it: anger, disappointment or past, future and so forth. Look at the boat and return to your practise. Generate trust between your way and yourself over and over again and be sure that your practise will be beneficial for you and the whole cosmos. 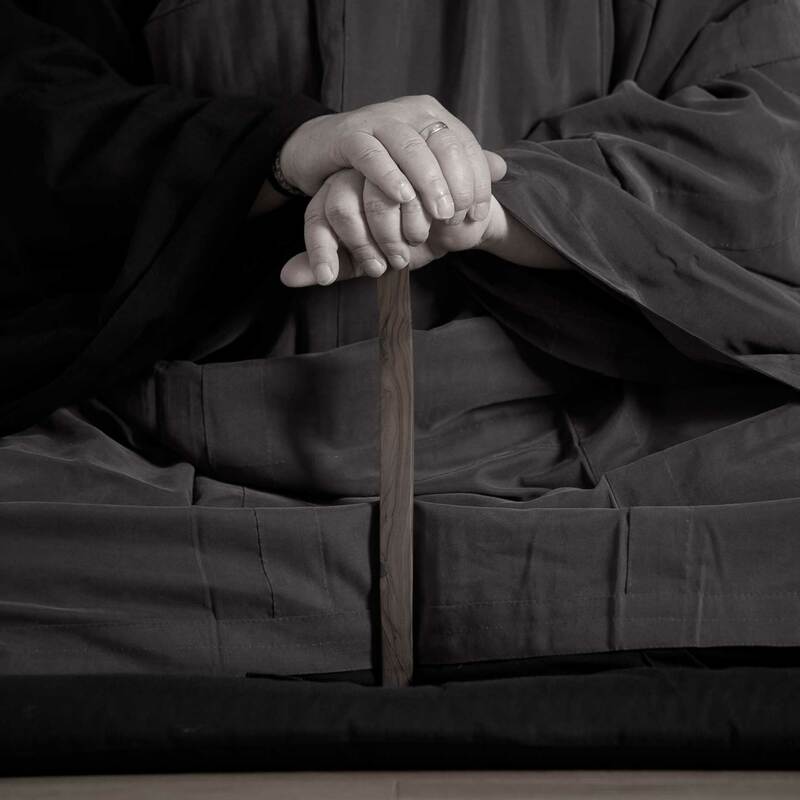 ZAZEN influences the whole being, body and mind. By practising regularly our understanding of our own life deepens. This understanding is then reflected in our everyday lives. If our mind is the same in every one of our actions they will be naturally right. Like in ZAZEN we can completely be in the current moment, in the abundance of the here and now. Our mind is peaceful without complications, without calculation, without fear. Our egoism decreases and we follow the natural flow of cosmic life. That’s how our relationships with other people will be easier and more transparent. Compassion shows in your everyday actions and the wisdom of Boddhisattvas Manjushri appears in your life. That is when we can find the easy way of life all by ourselves. Zazen is the grown up from of our lives. It is pure luck and true freedom. If somebody asks you what is the true Zen, you don’t have to open your mouth to explain. Embody all aspects of your Zazen position. (see film). That is when the wind of spring will blow and let the wonderful petal of the cherry tree bloom… and you are Buddha! ARCHERY is about practicing concentration in every moment, specifically in the correct practice of sitting, mindful walking, precise handling of the bow and traditional intuitive shooting but without auxiliary devices. »Aiming without aiming«, that’s what explains practice the best. The number of hits only plays a small role. Shooting at pictures of animals, counting points, carrying out world cups, that’s what we leave to the archery centres. 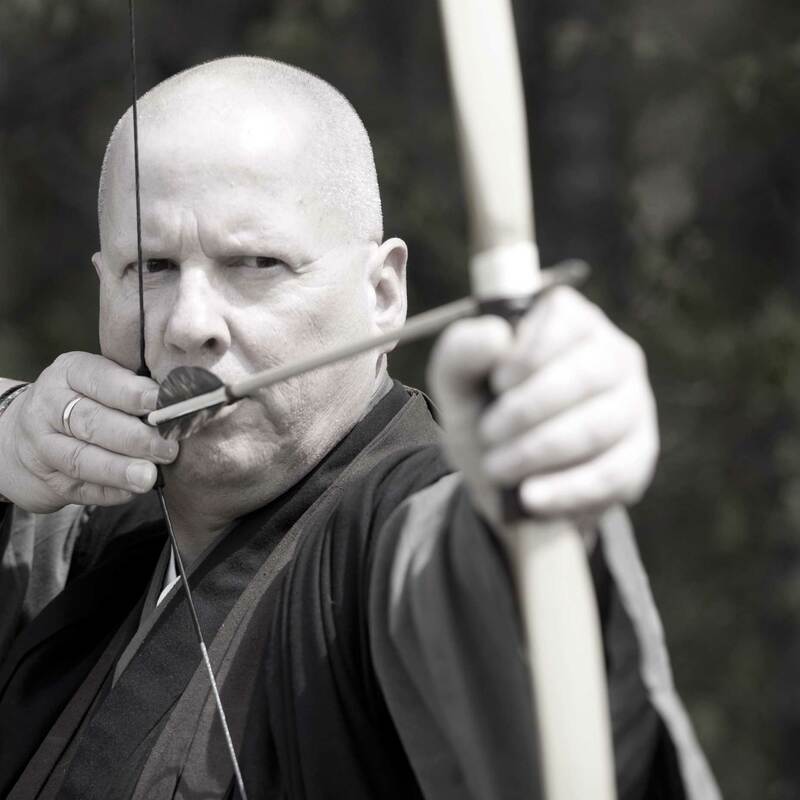 Hitting does play a huge role in Zen archery, though, and only regular practise of the precise handling with the bow supports this aim. The focus, however, is on the mental level. 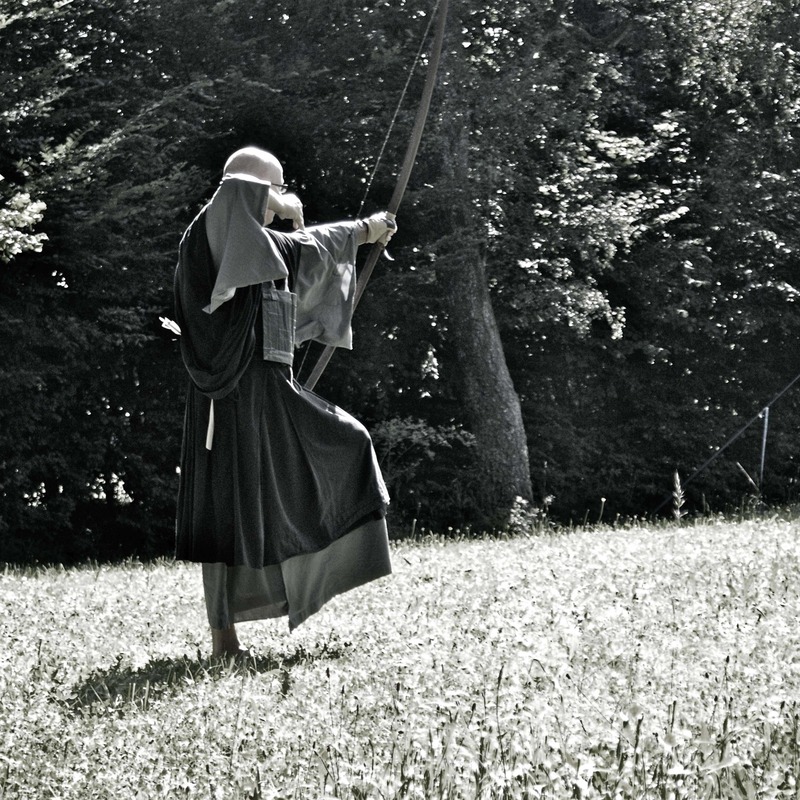 With the bow, we practice the one-pointedness of our mind. Being is more important than having, the process is more important than the result. Letting go has priority over arriving. We practice orientation and presence, in trainings concerning mindfulness for ourselves and others, in kindness and compassion.